Ken's new look. What do u think? Is it good of not?. Wallpaper and background images in the Barbie films club tagged: barbie fashion ken fanart colors brown. This Barbie films fan art might contain portret, headshot, and close-up. OMK !He surely looks better in this pic ! It's really good, I like it! Me ! 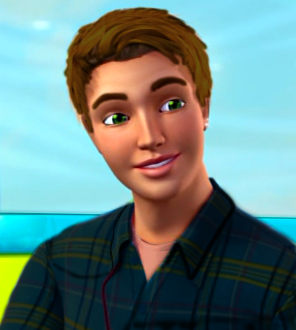 !I wish Mattel could change Ken's look . Well, at least he doesn't have blond hair.Nice try, Lena!